Spirograph was the unofficial name of this pattern. Spirograph, along with Nouveau Floral, was the first promotional pattern released with an under-plate style trivet. 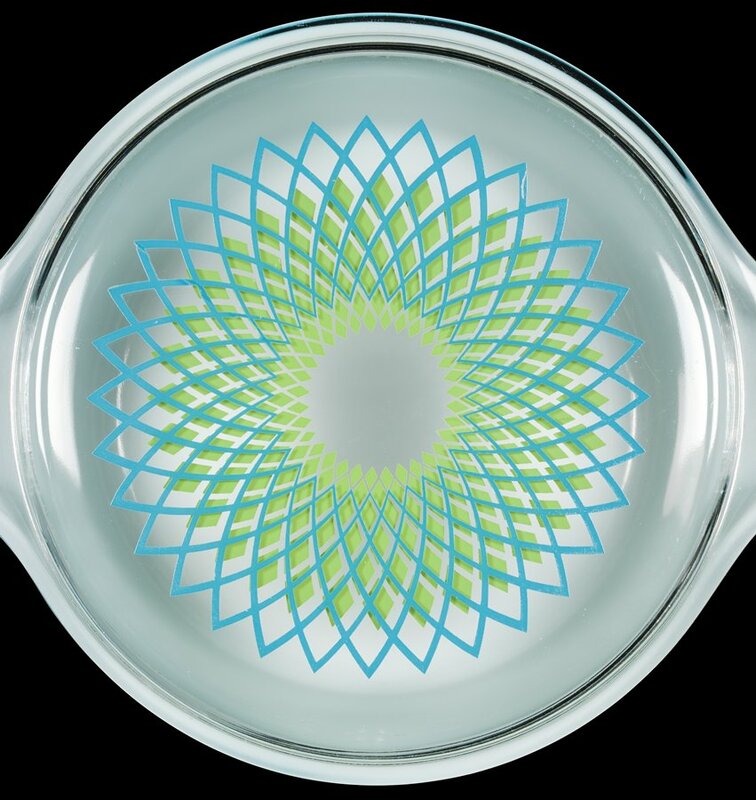 Spirograph was advertised as the 2 ½ quart Round Casserole with Trivet (475) and retailed for $5.95. Spirograph, along with Nouveau Floral, was the first promotional pattern released with an under-plate style trivet. As the 1970s progressed Pyrex opalware promotional patterns included small three-legged trivets, under-plates and “hugger cradles” rather than traditional cradles and candle warmers.